While JAKIM could improve more than just being a body to justify what is Halal or Haram, I feel that it is a very much needed organisation to help regulate the understanding of Islam according to Mazhab Shafie of the Ahlus Sunnah Wal Jama’ah teachings. Not Wahabbi, not Shiah. Not ISIS. 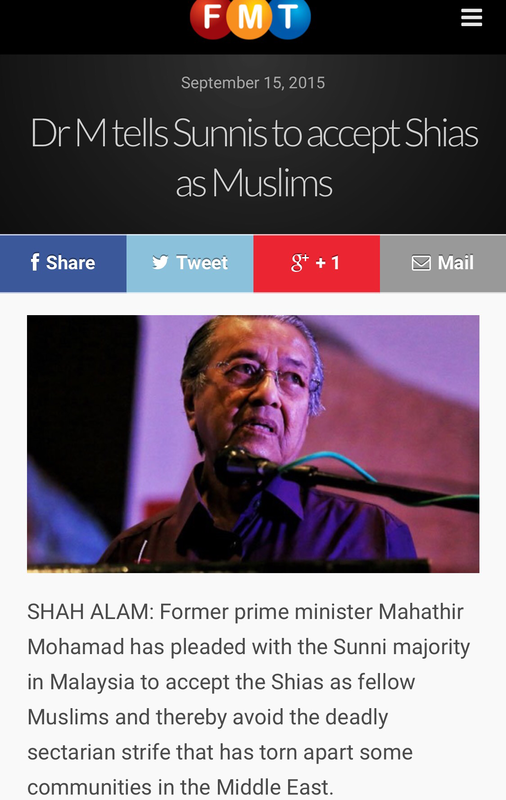 I don’t agree with some of JAKIM’s findings, but I don’t agree with calls to disband JAKIM. 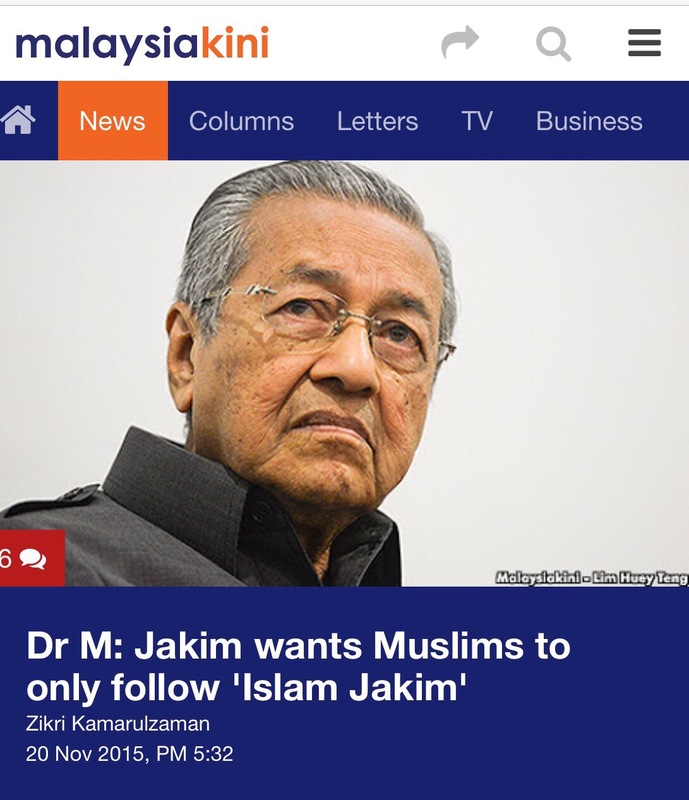 By NOT having JAKIM, however, only allows unwanted elements attack the foundation of those who do not have a good grasp of basic Islam – Fiqh and Tauhid. We see from time to time attempts are being made to proselytise Muslims; and we see how some have adopted very liberal interpretation of Fiqh to the point of mocking those conservative Muslims. We see how extremists have also taken advantage of the weak and those who do not practice by promising them paradise and so on so they would commit terrorism to “atone” for their sins as seen by the many number of Malaysians who suddenly think they can go to paradise by joining ISIS. Today, another person has joined in the fray by mocking JAKIM. Before you begin thinking about what he has said, I would like you to ask yourselves if you would go down with him to Anwar’s favourite backyard? A flight of B-52 bombers from the USAF flew around Second Thomas Shoal and Mischief Reef in the Spratlys and were quickly challenged by Chinese Air Traffic Controller during the weekend of the 8th and 9th November 2015. China has been making de facto claims on the Spratlys by doing reclamation works on reefs that include the construction of airfields and enforcing its “Nine-Dash Line” policy all the way into Malaysian Exclusive Economic Zone. Being the sole regional Big Brother China has been flexing its muscle against its smaller neighbours economically and militarily. China’s runway at Fiery Cross reef has a runway that could land a H-6G bomber that could operate 5,700 kilometres from a home base, not to mention Shenyang J-11 fighters that could operate within a radius of 1,400 kilometres. Malaysia is now within a 45-minute strike distance. As if that is not enough, the threat if asymmetric warfare from Sulu in the southern Philippines is also a clear and present danger. On the 15th November 2015, the Abu Sayyaf was reported to have met with elements from the IS to conduct terrorist attacks in Malaysia. The Abu Sayyaf is also notorious fir the kidnappings of westerners and Malaysians alike. 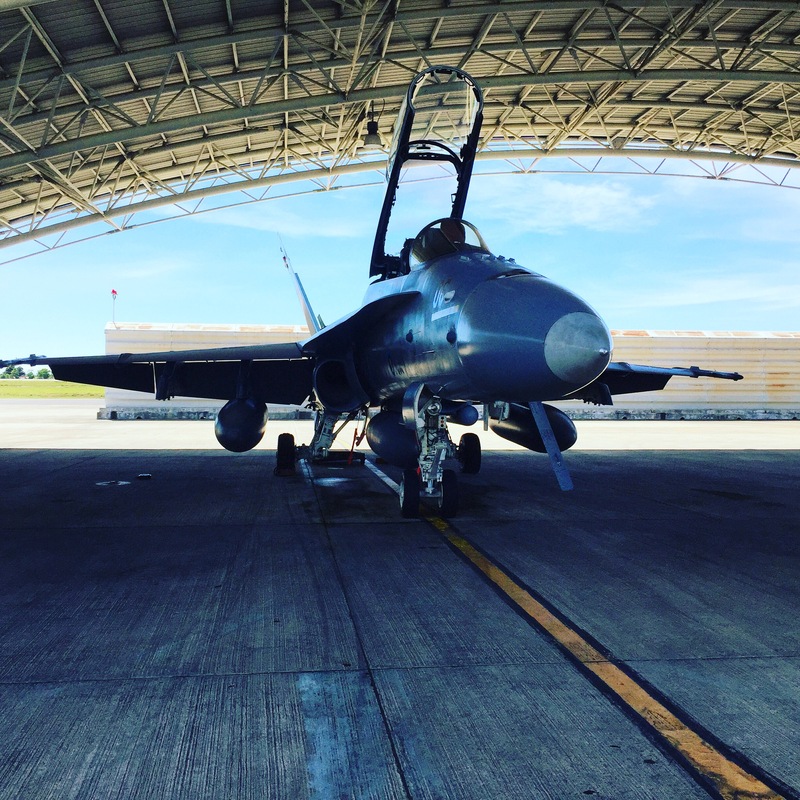 With the above in mind, the Royal Malaysian Air Force conducted and concluded Exercise Paradise 2/15 from the 9th until the 20th November 2015. 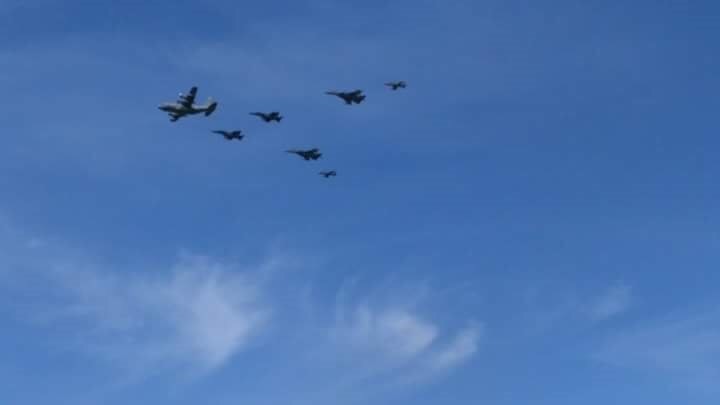 With the objective to test its combat readiness and capabilities in the Second Air Region, the RMAF deployed assets such as the F/A-18D Hornet, Su-30MKM Flanker, BAe Hawk, 108/208, C-130H-30 transport aircraft, KC-130 tankers, CN-235 transport aircraft, helos such as the Sikorsky S61A4 Nuri and the Eurocopter EC725 and also involved the RMAF Special Forces regiment. 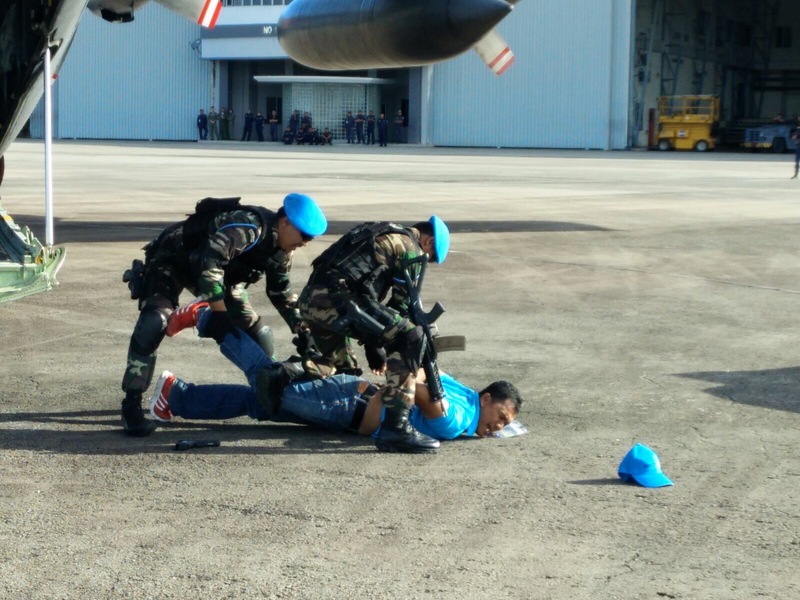 The Malaysian Army’s 10th Brigade (Para) provided a team of air despatchers. Up until the 18th November 2015, a total of 198 air sorties had been flown. During the Field Training Exercise (FTX) RMAF assets successfully conducted Air to Ground firing exercises as well as Air Drop operations and insertion of special forces elements to support ground operations. During the War Exercise (WAREX), the assets were then combined for Combat Search and Rescue (CSAR), High-Value Air Asset Protection (HVAAP), Combined Air Operations (COMAO), Mixed Fighter Force Operation (MFFO) and Large Force Employment (LFE). According to Exercise Chairman, Major General Dato’ Mohd Shabre bin Haji Hussein RMAF, the exercise achieved more than 90 percent of its objectives in accordance with the Scenarios of Exercise (SOE) and was a success. The media was also invited to witness the exercise in a bid by the Ministry of Defence as well as the RMAF in educating the media, and in turn the public, on the capabilities of the RMAF and the importance of public support towards the Malaysian Armed Forces in general. Members of media had the privilege to take part in a Aircraft Force Down exercise involving fighter and transport assets. In an observation by this writer, the Ministry of Defence has to seriously look at beefing up the assets of both the Royal Malaysian Air Force as well as the Royal Malaysian Navy. The Chinese government gets away with murder in the South China Sea simply because Malaysia lacks effective deterrence. The RMAF for example should be equipped with AWACS aircraft as well as the still-elusive MRCA. This writer opines that in line with the principles of force projection, MRCAs should also be based in Labuan in sufficient numbers to deter the advance of PLAAF and PLAN assets, while the Hawks concentrate especially in providing air support for the ESSZONE by having forward operating bases in Tawau and Lahad Datu or Sandakan. Without strong deterrence, Malaysia will never be able to have diplomatic bargainjng power against any larger forces in the region.